TERRE HAUTE — Spend an evening with Styx live in concert at 7:30 p.m. Thursday, April 7, at the Indiana State University Hulman Center, located at 200 N. Eighth St., in Terre Haute for a night filled with the band’s massive hit singles that have become some of rock’s most beloved songs of all time. The show at the ISU Hulman Center will boast some of Styx’s classic hits such as “Lady,” “Come Sail Away” and “Renegade.” Tickets are on sale now at the ISU Hulman Center box office and all Ticketmaster outlets. There will not be an opening act on this show so fans are encouraged to show up at 7:30 p.m. so as to not miss any of Styx. The six men comprising Styx have committed to rocking the paradise together with audiences far and wide by entering their second decade of averaging over 100 shows a year, and each one of them is committed to making the next show better than the last. Styx draws from over four decades of barn-burning chart hits, joyous sing-alongs, and hard-driving deep cuts. Like a symphony that builds to a satisfying crescendo, a Styx set covers a wide range of stylistic cornerstones. 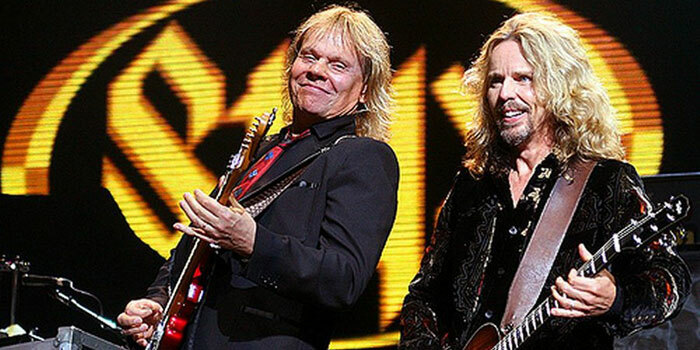 Styx hit its stride with guitarist/vocalist Tommy Shaw’s first LP with the band, 1976s Crystal Ball, and then they become the first group to score four triple-platinum albums in a row: The Grand Illusion (1977), Pieces of Eight (1978), Cornerstone (1979), and Paradise Theater (1981). Over the ensuing decade, Styx weathered the shifting winds of the public’s musical taste, reconvening for a highly successful 1996 Return to Paradise tour that was expertly documented on both CD and DVD in 1997. With a little help from their many friends in Cleveland’s Contemporary Youth Orchestra, One With Everything (2006) became a hybrid orchestral rock blend for the ages.